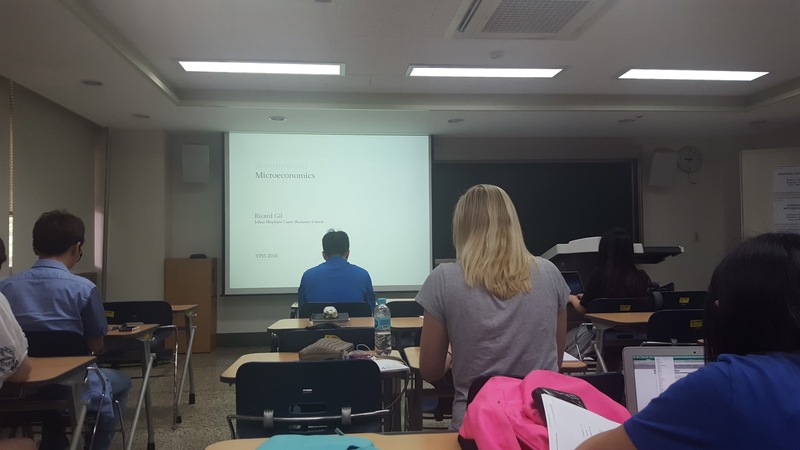 First day of class is usually nerve-wracking, but it was even more so since it was my first time taking classes in another country. Waking up early in the morning wasn't easy, but luckily for me, the walk to the building wasn't that bad, only a 10-15 minute walk. The annoying part was definitely the mini hike across the campus, the uphill bend through the parking lot by the dorms, and around what I like to call our school's mini forest. My first class of the day was Social Psychology at 9am (1st period), followed by Intermediate Microeconomics during 2nd period. 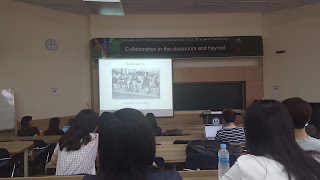 Both classes were taught in a lecture format, in English, with prepared powerpoint slides that were available to us on the Yonsei portal (the equivalent to CUNY blackboard). The first day went by really fast, and I did get to meet a few new people in my classes.